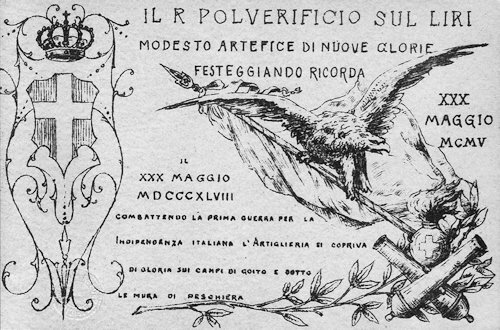 The Agenzia Industrie Difesa is an institution of public law1 which groups together the existing Military Establishments, with the aim of converting them to the development of economically sustainable activities, relieving the Defense budget from the support of entities that have generated, and in part generate, strong liabilities to pursue objectives that are not always in line with the objectives of the Defense Ministry. The operational units framed in the AID are shown in the following figure and, as can be seen from the name, it ranges from activities related to the military world but now privatized in almost all NATO / EU countries, up to activities of little or no interest in the Defense and certainly not at the strategic level. Moreover, in the budget law2 in force, it is foreseen the possibility of hiring up to 294 people to go to fill the existing staff. Do not we risk taking on the wrong professional skills? Therefore, we are faced with the umpteenth national exercise with which institutions that have now been overcome by history are left alive, without undertaking a real attempt to construct realities in line with the needs of modern FAs. From the examination of the 2017 budget3 (last available), it is clear that management's attention is focused on finding contracts that reduce liabilities, but that lacks a true industrial strategy that allows to understand how to transform these entities into active industrial subjects that do not steal, that is, Defense resources. About 20 years have passed since the legislator started this reconversion attempt that had to be completed within 2017 with the achievement of a financial statement profit or the closure of the plants still in deficit. The approval of another regulatory instrument to postpone this deadline is a further litmus test of the failure of the initiative. It is clear that an industrial entity whose operating result is negative for 1 / 3 of the value of production must be, at least, heavily restructured and must dispose of those sectors that show no economic improvement. Process, however, originally provided for by the legislator. Production costs: out of a total of around 84 M €, 47 M € are linked to staff, 20 to purchase materials and raw materials, almost 12M € to purchase services and the remaining 5M € are linked to depreciation, outlining a general framework of labor-intensive activities with negative added value. In fact, 63 is sold to 84 M €. In this way, an industrial framework is concretised simply unsustainable. On the international scene, AID is not the only case of an industrial defense structure that had to confront the definition of a new mission and a new identity with the end of the Cold War. However, it is the only case in which, almost 30 years after the fall of the Berlin silent, this did not happen. Let's see, therefore, to define which sectors would be managed with greater efficiency and effectiveness by a body governed by public law rather than directly by other defense bodies or the private sector. 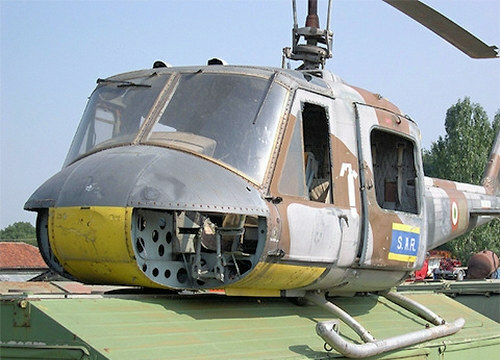 Periodically decommission means and weapon systems declared to be obsolete from a technological point of view, which, however, sometimes have their market in less developed countries. In this sector, therefore, it becomes necessary, in the first place, for the means and materials lacking the market, to implement a process of disposal in accordance with the law of military vehicles and equipment with the aim of minimizing the costs of dismantling, disassembly and disposal; maximizing the return from the sale of metals and refined waste on the national and international market. 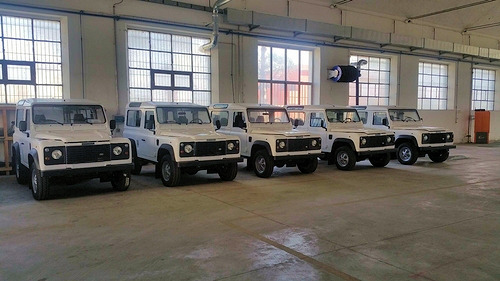 Secondly, for the means still present on the international market, it is necessary to put in place an organization that is not only able to present the disused materials to the possible buyers, but that is above all able to ensure a complete capacitive package, that is to say training for operational and logistic personnel, reference manuals and at least a first robust supply of spare parts, if not the assurance of being able to guarantee spare parts and / or logistic support for a certain number of years. The above has been timidly attempted by AID, but in the face of a constantly decreasing defense budget (at least in real terms), nothing can be left to chance. This sector, among other things, would also allow national industry to drive towards a comprehensive approach, since the mere sale of platforms no longer responds to market logic. Ensuring the possibility of producing products in Italy that are strictly related to defense and security, which no longer have industrial support in NATO / EU countries because they are commercially unsustainable. See, for example, some IT, electronic or NBC protection devices that are produced only in Asia, with related security issues, or in Europe, but only at very high prices and in the presence of requests that require high production volumes. In these cases, it is clear that the assembly of equipment or materials that require direct control along the entire production chain, determines production costs that no longer respond to market logic. It is therefore a classic case in which, even doctrinally, it makes sense that the state becomes an entrepreneur. Assure a strategic arm to national logistics. In a general context where operations have characteristics expeditionary, it is difficult to predict what will be the next Operative Theater to be activated. The availability, at national level, of an organization able to support the FAs in the strategic arm and in the Operative Theater with regulations different from those envisaged for State Bodies, would allow to guarantee a logistic support in all fields certainly more adherent and saving resources . AID could be able to represent for Italy - in many functions - what the Defense Logistics Agency represents for the US FA, without the need to substantially change the current legislation, the prerogatives of the top of the Defense and especially to build new superstructures that would risk to plaster even more a sector that has always been the Achilles' heel of our operations overseas. An institutional representative able to guarantee the Foreign Military Sale -FMS national. It is often said that our Armed Forces are the best ambassadors of the quality of the products of the national defense industry. This is true. In the international arena, however, many countries do not want to buy weapon systems and platforms directly from the industry. They require national FAs to guarantee the quality of production, which ensures training and logistics. There have been some initiatives in the past where good results have been achieved. However, there is no systemic approach to this problem which translates into implementing a real military industrial policy. Nothing obviously prohibits an "X" country from directly accessing the national industry. But if you want to be sure that the price is fair, the platforms are certified by national and logistically sustainable FAs, that the FAs ensure - in parallel - training of operational and logistic staff, then you need to implement a national FMS system . 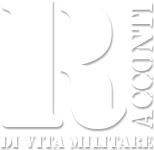 AID, as a body governed by public law, can manage it, turning an opportunity into a sure return not only for the industry but also for the coffers of the Italian State and Defense. Ensure the acquisition of equipment for the context of Security Force Assistance. The more or less recent operations in which Italy has also participated have required the reconstruction of large capacitive sectors of the countries concerned. Just think of Iraq and Afghanistan to limit the examples. In these countries, the countries of the Coalition intervened and / or NATO4 they have invested significant resources to re-equip and train local armed forces and police. For Afghanistan alone, Italy has made available around 260 M €, becoming the fourth contributing country, after respectively, USA, Germany and Australia. 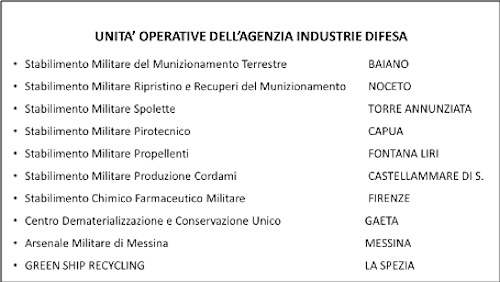 Almost all these resources have been channeled, for the needs of local FAs, in the purchase of consumables (directly from the local market) or armaments and medicines, through US-FMS, with little returns for the Italian country system. The availability of a national agency, such as a renewed AID, able to act quickly and competently in a multinational context, would certainly have guaranteed both a greater return to the country system and greater visibility to Italy's strong contribution to strengthening international security . What should I do to reform AID? Little from a regulatory point of view. Much more from a political point of view and a pragmatic approach to existing problems. It must be made clear that there can not be more entities whose sole purpose is to "survive", but that we must all contribute to the good and the revival of the country. Leave about a thousand people, for entire decades, to invent a mission and a job is not the best way to innovate Italy.